Blockchain. It has become a fixture in business and pop culture.We have all heard the word, but most people do not fully understand what it means. They know it has to do with technology. They know it is important. They know that it has the potential to impact every single industry—Every single human, in fact. But that is about it. How it works is a little bit of a mystery. It is like the internet in this way. We all use it and depend on it,but not many people comprehend the inner workings. The following will help to flesh out just what blockchain is and how it could work in the pharmaceutical industry. The idea of a blockchain is often associated with the mysterious person or group known as Satoshi Nakamoto. However, long before Nakamoto introduced the world to blockchain, two research scientists with a background in physics, artificial intelligence, and cryptography gave life to a concept of a chain of blocks that was safeguarded by cryptography. Stuart Haber and Scott Stornetta published their idea in 1991 and then improved on it over the next few years, making it more efficient and tamper-proof. For many years, though,the idea lacked a practical application and implementation. Initially, Haber and Stornetta designed the concept of blockchain for documents, so that they could not be backdated and their timestamps could not be tampered with. It was Nakamoto who saw the potential of using blockchain with currency. The technology became the centerpiece and cornerstone of Bitcoin. It would allow the currency to be decentralized and immutable—a public ledger that could not be controlled by one person or organization. While blockchain and Bitcoin were conceptualized in 2008, the token and the technology were only released a year later for use by the public. By 2014, experts in various industries started to discuss the widespread implications for blockchain. These new uses and proofs of concept,within every function from supply chain management to legal documentation,became known as blockchain 2.0. At its core, blockchain 2.0 allows for enhanced automation and perfectly audit-able trails for every business process. A blockchain is a continually growing, decentralized record or ledger. Each block represents a transaction or group of transactions. Every block is linked to the next block in chronological order using cryptography(i.e. the private, personal aspects of every transaction are encrypted). The ledger is indelible and every transaction must be verified by the entire network. Some blockchain networks are private and individuals must have membership in order to view the ledger. Other blockchain networks are public and visible to anyone with internet. Blockchain is still in the nascent stages in the pharmaceutical industry. Companies across the sector are currently developing proofs of concept for how the technology could benefit the various process and systems involved in pharmaceuticals. The following provides a look at just a few of the pharmaceutical use cases. Clinical trials are complex and highly regulated. 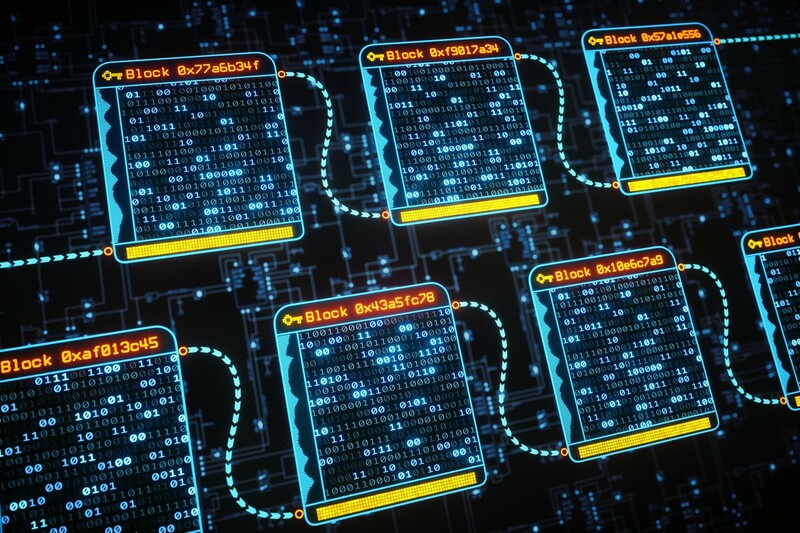 Many researchers and others involved in the process are hopeful that blockchain could help pharmaceutical professionals to navigate through the complicated aspects of a trial. So far, experts in blockchain have identified two possibilities for implementing the technology. The first course for blockchain integration is the management of patient clinical kits. The goal is to use blockchain as a clinical kit management tool. Studies could provide the technology to participants in order to help them manage the procedural aspects of the trial. It would better ensure that all participants stay safe and use the drug correctly. It would also empower them to provide the most accurate results, enabling them to give real-time and secure feedback to researchers. Additionally, the decentralized ledger would prevent researchers from tooling the data in order to get the results that they want. The second option for blockchain's inclusion in clinical trial sis also connected to the management process. Large molecule medicines recurrently a very promising treatment option for various illnesses. A handful of biotech companies are pursuing this lead, but the problem is that the development of these medicines must happen in divergent points of origin. Blockchain could help to identify and validate all of these origin points during a large molecule medicine's journey to becoming the final product,creating safety and security for all participants involved in the trial. In recent years, there has been a spike in incorrect ingredients accidentally being used during the drug manufacturing process. These ingredients are put into a drug, causing harm or even death to the end user.The reason that this happens is that it is nearly impossible to perfectly trace each pharmaceutical ingredient from source to manufacturer. Blockchain can change this. The pharmaceutical industry could mandate that every manufacture ruse the technology to trace every raw chemical to ensure that drugs are made exactly how they should be made. It would also enable manufacturers to pinpoint the trouble spots of where the supply chain is breaking down. Pharmaceuticals have the ability to save lives and, if the process goes wrong, take lives. Blockchain can help to ensure that the former happens more and the latter less. Pharmaceutical companies could employable in their recall procedures so that information gets out to all affected patients promptly. The technology could be used to track medication,ensuring that it is safely moves through the supply chain and, if an error does occur, it can then be used to swiftly recollect any drugs that could have been impacted by the error. Additionally, blockchain can be set up to respond in real-timewhen new prescriptions are made available. Individuals with an illness willthen be informed of the new solution. This would increase consumer trustthrough the prevention of 'fake news' and help the right patients get the rightdrugs. Every business and individual involved in the pharmaceutical supply chain will benefit from safer and more secure processes being implemented. Blockchain has the ability to offer this. Over the next few years, the industry will find that this technology eases regulatory compliance and creates a streamlined supply chain,allowing for more efficiency and effectiveness.